Seamless: Special Instructions — LL! 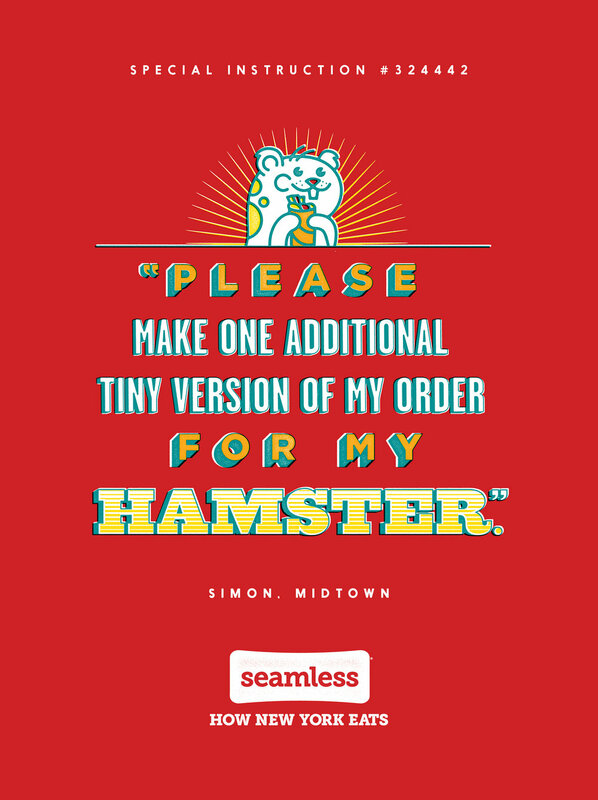 Seamless lets you customize your delivery order using Special Instructions. We found that some people got pretty creative with theirs. And we were pretty inspired. Liz Loudy is a copywriter in New York with a fantastically alliterative name.